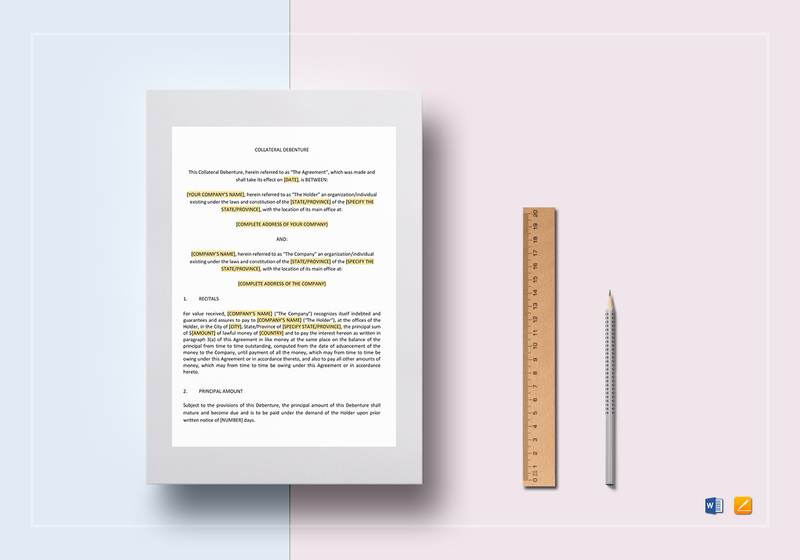 Download this 5-page Collateral Debenture Template now and clearly define items included in your loan. Open and edit with your favorite app or program that supports MS Word or Pages file formats. Simply replace the yellow highlighted sections with your information and you’re done. 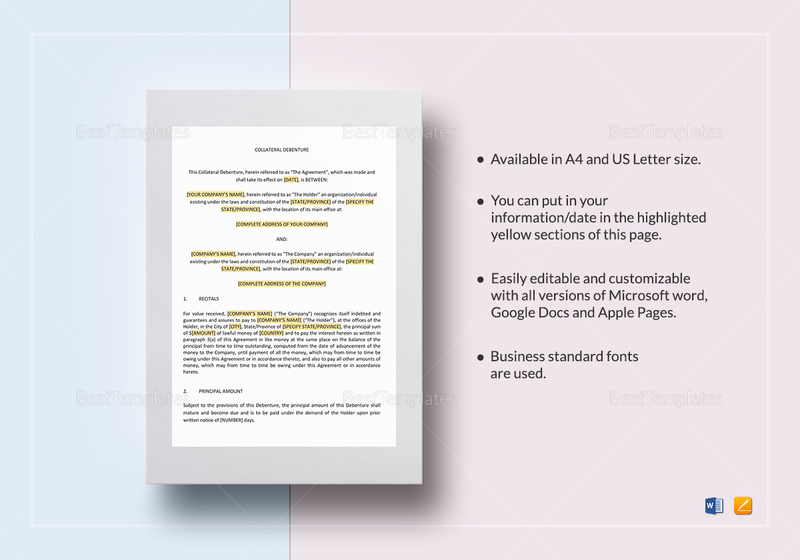 Create an amazing template with standard business formats. Act now and get this template immediately.